Monday morning, 12 April 2010. I was grooming the bunnies. The other gave me no problem since they’re short-haired. They’re heavily molted. I grabbed the Furminator n groomed them. 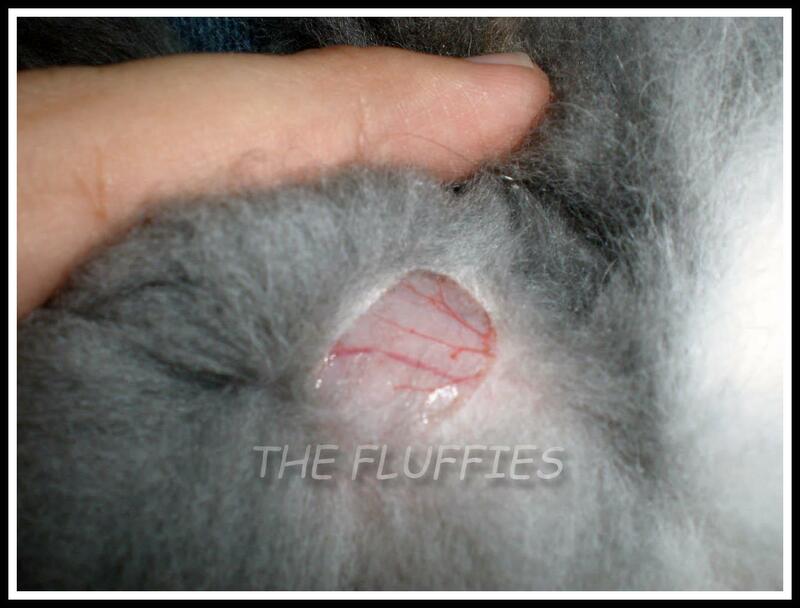 Mickybell had some tangled fur at her tail. So i decided to cut the tangled fur using the new scissors i just bought a day before. I was soooooo careless and see the damage i’ve done to her! 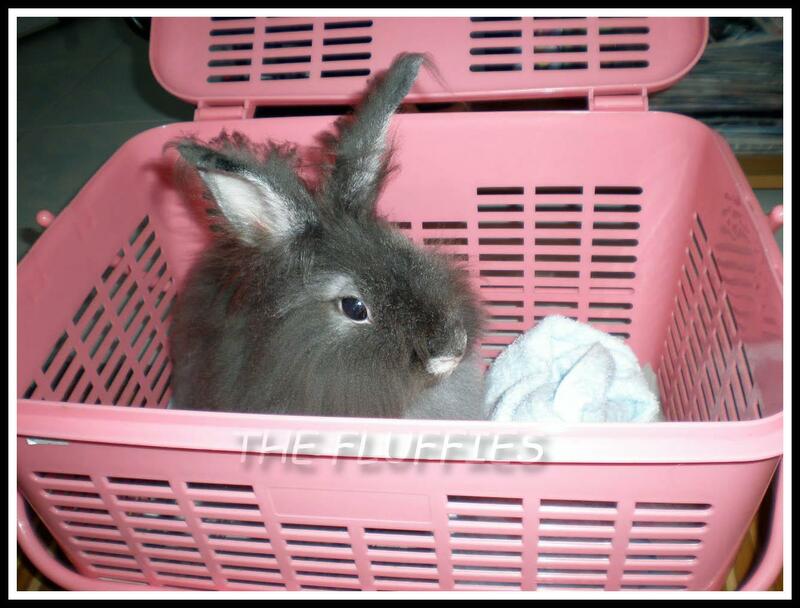 I quickly took the travel basket and off to Dr P. I felt like dying! Dr. P stitched her up..
Now I FEEL SO GUILTY……. i still can’t get rid of that feeling… *guilty.. guilty.. guilty* And yes, i promise i’ll be more careful with scissors next time. Nothing to worry about. He’ll be fine! Oops, but I’m sure he’s forgiven you. You’ve handed him a bushel of carrots and given him extra floor time, right??? Don’t worry! My mother did this to out cat once! They had to shave her down completely! Sending lots of love to mickeybell for speedy recovery! And to mommy mickeybell, don’t be too hard on yourself! Been there, done that too. Bunny is fine. I am NEVER allowed to forget. 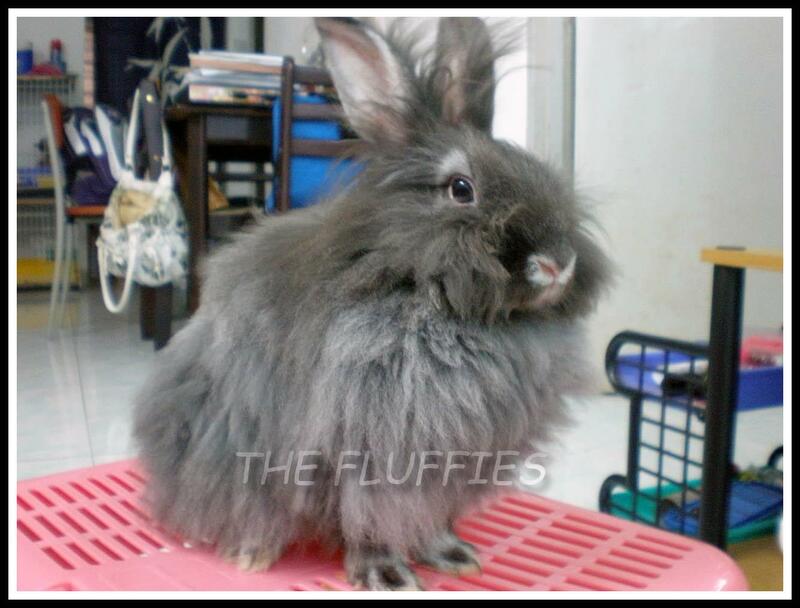 i love reading ur blog coz ur buns r so cute and the cats 2..but u havent posted anything lately..hope everything is fine..
ya..ya..ya… notty mummy… bite..bite..bite her… sakit tau..
hehehehe.. dont worry lah dear.. but..ngeri juga tengok…kikiki.. I miss you lah girl..
Wow, that looks pretty scary, and I know how guilty you must feel, but I think the important thing here is your reaction: you noticed what you’d done, you immediately sought medical care, and now you’re telling us about it. Lots of people would be too ashamed to post about this, but the online rabbit community has been instrumental in my rabbit companionship: we need the opportunity to learn from each other’s mistakes. I think you should be proud of yourself. 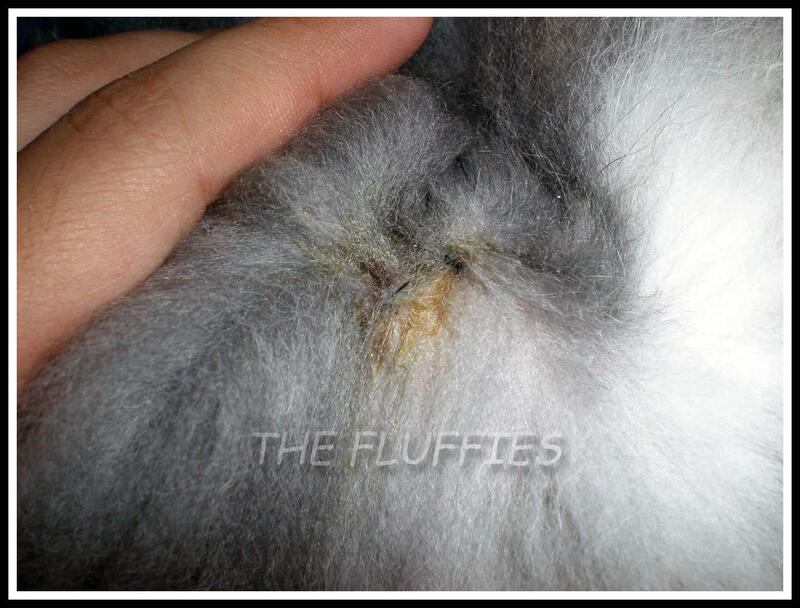 My rabbit gets bad knots in his fur too. When he’s moulting, it can be easy to remove them: often they pull right out; but when he’s not moulting, the knots are stuck tight. I did use scissors once to remove some by his tail, and while I didn’t cut his skin, I didn’t get close enough to actually remove the roots of the knots, so they just grew back. Now I only use my hands to remove his knots (gently, of course). Sometimes I’ll work on the same knot for days on end. It can be time-consuming, but it is safer and, in my experience, more effective than using scissors. Anyway, a speedy recovery for Mickeybell! I knew how u felt.. =( but its ok..things happen.. I knew how u felt.. =( but things happen..